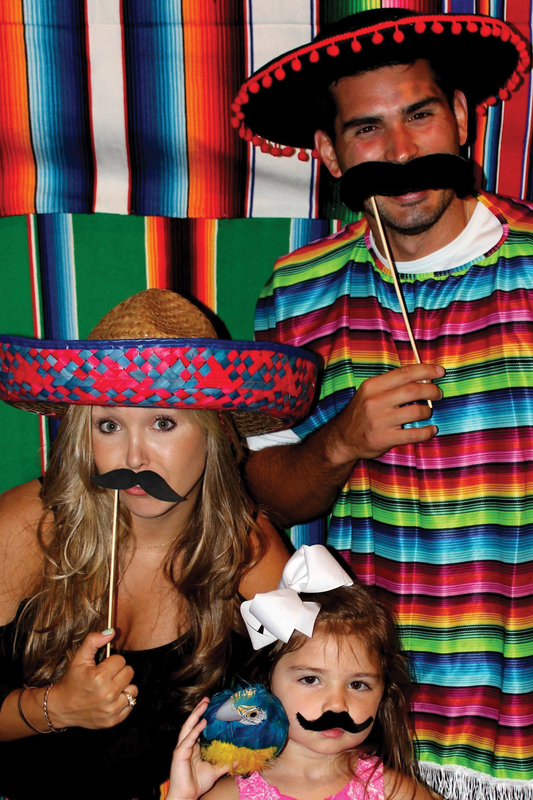 Home Sweet Home: Fiesta Fun! Austin Lasprilla, Olivia Olson and Macy Osoria. A colorful, laid-back, festive south- of-the -border bash can be the perfect passport to a fun party. No need to worry about clashing colors, expensive decor or bland food. Guests are easily excited by seeing piñatas, tissue paper flowers, Mexican blankets, colored Corona bottles while snacking on a burrito /taco bar and of course enjoying a cold bottled Jarritos or Coca-Cola or a tasty margarita . There are tons of DIY projects that can enable one to stick to a budget and host a fabulous party. These colorful flowers are one of the easiest decorations to make. They can be made in multiple colors and sizes and are lightweight enough to hang from a ceiling to the backs of chairs or simply used as a centerpiece. It takes 6 pieces of tissue paper to create a large flower (approximately 25 cents per flower) and less tissue to make smaller flowers. Simply stack tissues in the preferred flower color, fold the tissues, tie in the middle, cut the edges for detail then fluff for a fiesta flower. There are video tutorials online. Decorating the ceiling or the outdoor trees helps bring the eye up and down and creates the feeling of more space. Making or purchasing Mexican folk art banners or using colored or clear glass lights is the perfect way to add color and gain more light. Ask your local restaurant to save their empty cans of “Mexican type” food (refried beans, jalapenos), and Corona and Coca-Cola bottles. These items make great containers for the tissue flowers, succulents, candles, and photo props for guests. They can also be painted and used as table centerpieces. It is not a fiesta without a piñata. 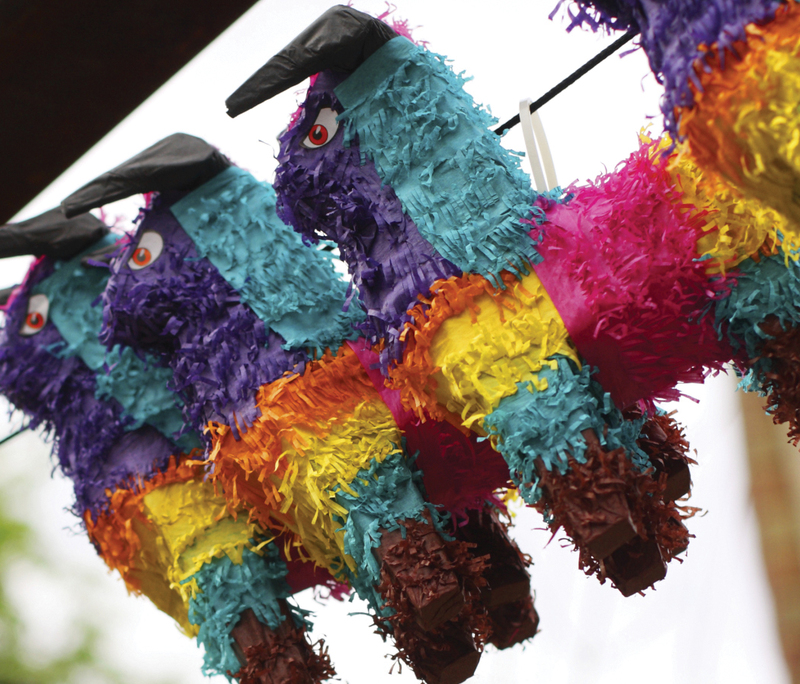 Piñatas come in various sizes, shapes and colors. 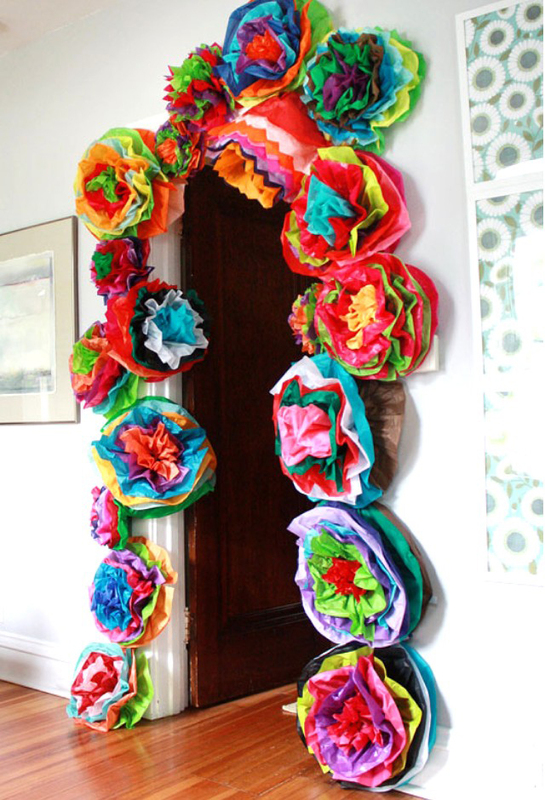 They can be purchased at party decor stores, Mexican grocery stores; or with glue, cardboard, tape and tissue paper one can create any shape and size needed (with some patience). There are tutorials online to help one in making a personal piñata. 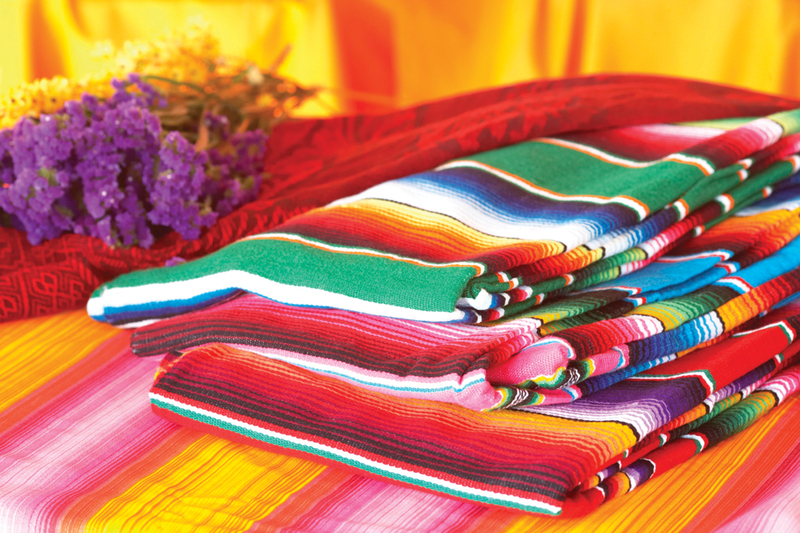 Colorful blankets can be used to drape over chairs, used as table decorations or hung on the wall as a photo backdrop. A “blanket look”can be created by painting a variety of colored stripes on a solid colored piece of material and fraying the ends. Blankets can be purchased online but prices vary. Just try to choose the most amount of material and bold color for the best price. The blanket can be cut into runners or pillows or smaller pieces to add to table decor. A self-serve taco/burrito bar is easy, fun and full of flavor. Guests can fill up on the typical chips, salsa, queso and guacamole for appetizers. Fancy fiesta cookies or “fool the eye” cupcakes can round out the food fiesta. The cupcakes are made to look like nachos but instead are a sweet treat. These are made with a chocolate cupcake, layered with yellow dripping icing, chips dipped in cinnamon and topped with gummy green slices that appear to be jalapenos. 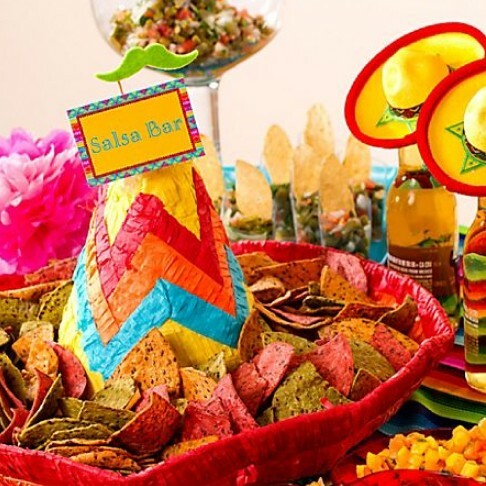 The food can be displayed and served in sombreros. Also the food can be displayed at different levels by placing the dishes on those collected food cans. Jarritos (Mexican soda) or Coca-Cola in glass bottles is a cold cola treat and will remind guests of authentic Mexican soda. Sangria with chilled fresh fruit or a tangy tasty margarita is always a crowd pleaser too.